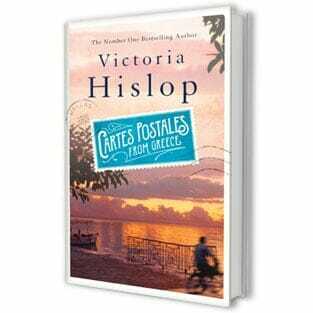 Greeks are likely most familiar with Victoria Hislop as the writer of “The Island,” an award-winning novel that was adapted for a TV series by Greece’s Mega Channel last year. While reading up on the British author, I was pleased to discover that she seems to know this country well and talks about it during her travels around the world. The publication of her new book, “The Thread,” translated into Greek and published by Dioptra under the title “To Nima,” provided an opportunity for a conversation with the writer. In her latest novel, Hislop explores the history of 20th-century Thessaloniki, from the Great Fire of 1917 to the present day. So prior to her arrival in Greece for a book tour with stops including Thessaloniki, Katerini, Larissa, Volos, Lamia, Patras and Athens, the author took some time to respond to a few questions about her most recent offering, as well as the Greek financial crisis and her impressions of the country in general. How do you think readers of your previous works will respond to your latest novel? Do you believe it will stir up different emotions among your Greek readership to their foreign counterparts? I think they will be familiar with my style and approach — that I write primarily with my heart rather than my intellect. So perhaps the same emotions will be stirred among readers. There are very sad things in this story — but also very optimistic things too. It is about survival — so that has to be optimistic. I know that you’re very aware of the current financial crisis in Greece. What would you say is the best way to live with it? If Britain faced the same situation as Greece, then I think we would all face it together in a united way. Yes, we would protest (we had huge strikes in the 1970s — when we only had very limited electricity — I did my homework by candlelight) but in the end we sometimes simply have to swallow our medicine — it is very bitter but it makes us better in the end. And I think that’s what has to happen here. Whatever the reasons behind this debt — there is only one way. And I hope your new prime minister will have everyone behind him. It seems to me that this is not the moment for “infighting” among politicians. The future will be better — it always is. What made you decide to return to Greece again for your new novel? I became fascinated by the story of the Population Exchange — and also the story of the Jews here. The fact that within only two decades, from 1923 to 1943, Thessaloniki was transformed from being a city with three equal sections of population (Christians, Muslims and Jews) to being only Christians was a very compelling one. And this seemed only the beginning of the story — the hardships that followed also drew me in and before long I had realized that there is a connection that links the events of those times with the situation of the present day. How closely does the fiction of “The Thread” resemble actual reality?Is it based on real people and their true stories? There are no true stories in “To Nima.” I research extensively with books (written mostly by British historians, and some translated from the Greek) and then imagined what it would have been like to live through them. So I did not interview elderly people — for me this is slightly dangerous, as a novel then becomes a work of nonfiction, and that is not my craft. Perhaps stories just as I fantasize did happen in real life — but there are no specific “life histories” to be found in the novel. Do you think you could write a book with a happy theme? I think in some ways, this book does have a happy theme — in that it is all about survival. Yes, there is plenty of loss, but not only that. It is about the strength and generosity of the human spirit. Just to write a story about people being happy… sounds a bit dull to me. There has to be conflict and resolution to make a good story. Are there comparisons to be drawn between what was happening back then in Greece and how things are now? The true events happening in the background of “To Nima” (from 1917 until 1978) were very tough and very hard to survive. And yes, there is certainly a comparison to be made — and definitely a link between what happened then and how things are now. Do you find any similarities between Thessaloniki and Athens or any other city? I think Salonica is fairly unique — though I haven’t visited every single Greek city yet (though it is on my agenda). But no other city ever had the title “Madre de Israel” (Mother of Israel) — or the “Jerusalem of the Balkans.” So Salonica definitely is unique in having been the home of the vast majority of Greece’s Jewish population. Geographically, Salonica is unique, with its position on the sea and all the layers of history that seem still to exist and to be visible there. Is there one question that you wish to respond to but haven’t had a chance to yet? Why the book is called “To Nima.” I love the Greek myth of the Moirae [the goddesses of fate who personified the inescapable destiny of man] — that the length of the “thread” of your life is predetermined, and this seemed to go well with the idea that all historical events are linked, or I could say “threaded,” together. As we would say in English, “One thing leads to another,” and I see this very clearly with the history of Greece in the 20th century — everything happening now somehow has its roots in the past. And writing this story has certainly helped my British readers see how much Greece has been through — and I hope this will make them more sympathetic too. And of course — all my female characters sew and weave in this story — so it is not just a metaphorical title! They do these activities in order to survive in a period of great hardship — and indeed to be creative too. You successfully mix politics and history. If you were to choose politics as a profession, where would you like to be and why? I am not sure I would survive as a politician, because I believe greatly in compromise — and I think politicians are usually very definite and very focused — and they often don’t really seem to listen to each other. I am very much a listener. Actually I think I might be a reasonable diplomat. Maybe an ambassador — that would be a marvelous career I think. And every five years I would move to a new country and learn a new language — and try to get countries to understand each other better. You have compared your latest book to “an oriental rug.” What kind of descriptions of your work make you happy and which drive you mad? Best criticism of my work: to put the spotlight on forgotten stories and to make readers hear forgotten “voices.” Criticism to drive me mad: in the UK I am often described as “light reading” — I suppose it‘s not such bad criticism — but I do think it trivializes.